Join smart online merchants by installing this robust shipment tracking app. It supports UPS, FedEx, USPS, China Post and more than 350 other couriers. Sign up for AfterShip for free; there’s no credit card required to get started today. It gives you “Amazon-style post-purchase powers,” writes TechCrunch. View order delivery statuses easily. AfterShip automatically detects the proper couriers and gets retrieves statuses from them. 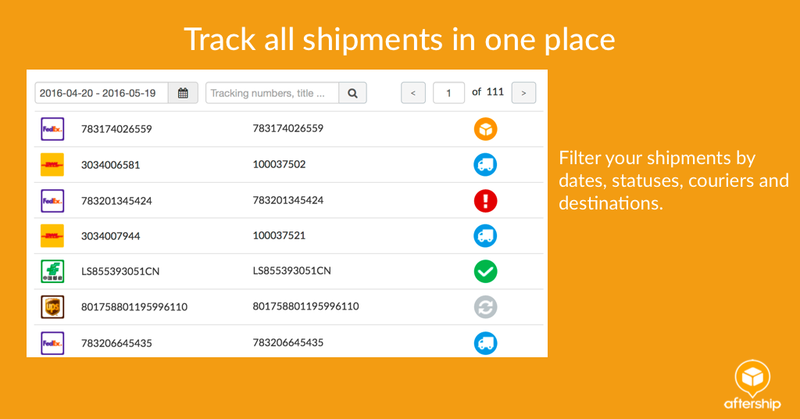 Filter your shipments by date, status, courier, and destination. 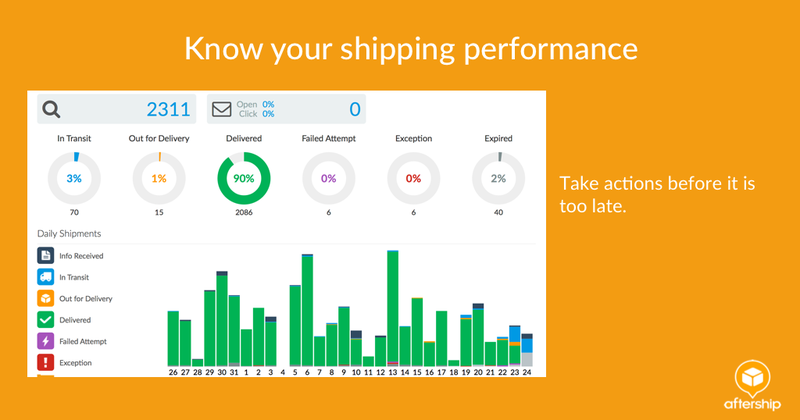 Quickly take stock of your delivery performance, and take real-time action before problems might occur. 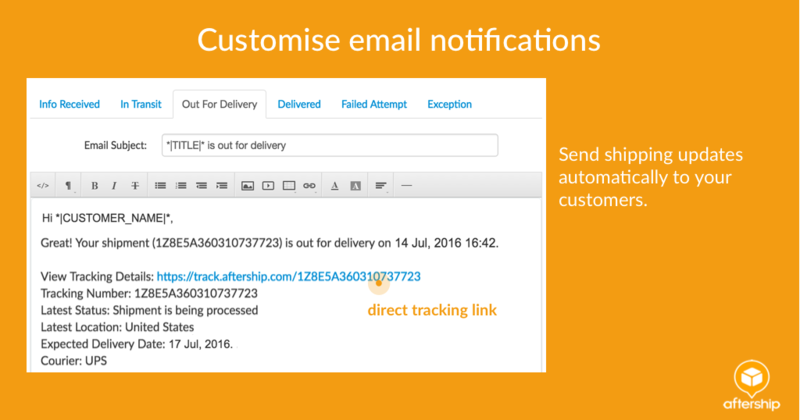 AfterShip automatically generates a tracking page for each shipment. You can customize tracking page with your brand’s logo, link to your store, or even its Instagram feed to improve your SEO and generate more sales. You can also embed the AfterShip Track Button to allow tracking directly from your store’s site. 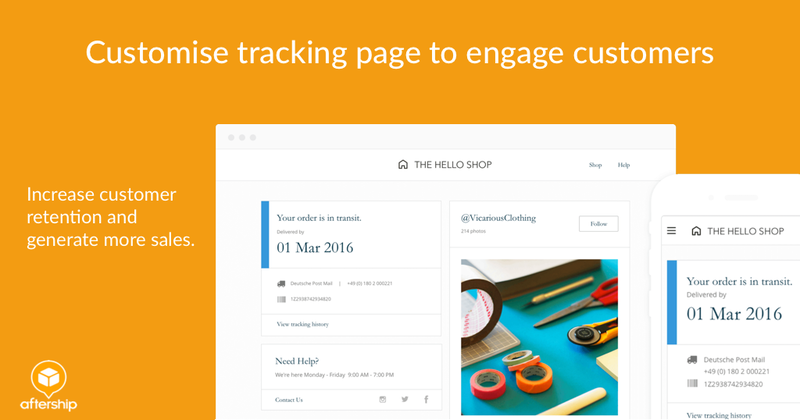 Improve your customer’s experience with order tracking. Customers love delivery updates. Delight your customers by sending an email or SMS update whenever there’s an update from the courier. It can include custom content. You might choose to send notifications as shipments are in transit, out for delivery, or when a delivery attempt might fail.